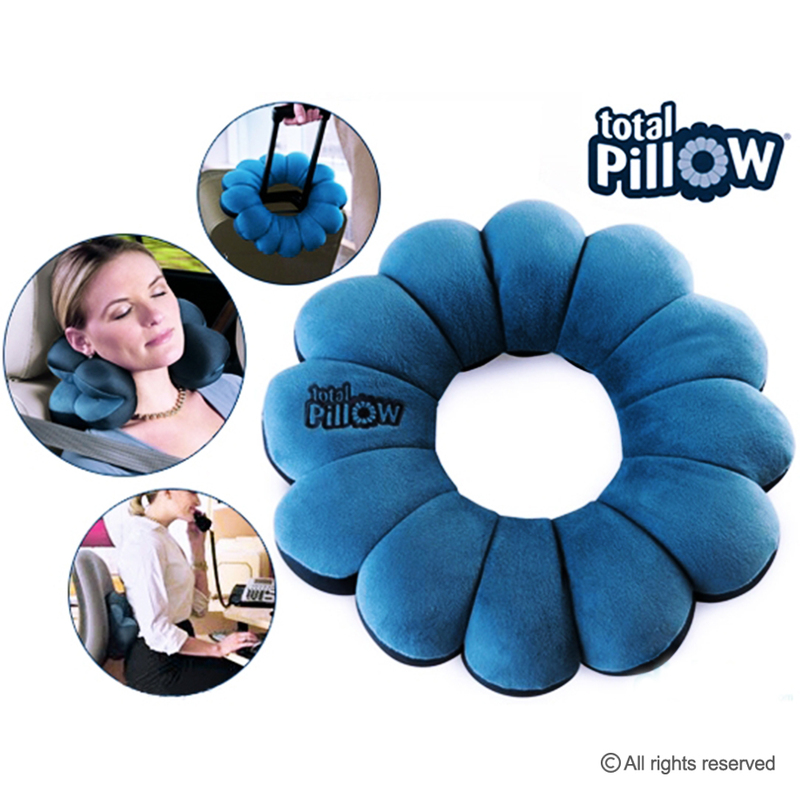 Discover true relief with the amazing and versatile TOTAL PILLOW petal-shaped pillow. 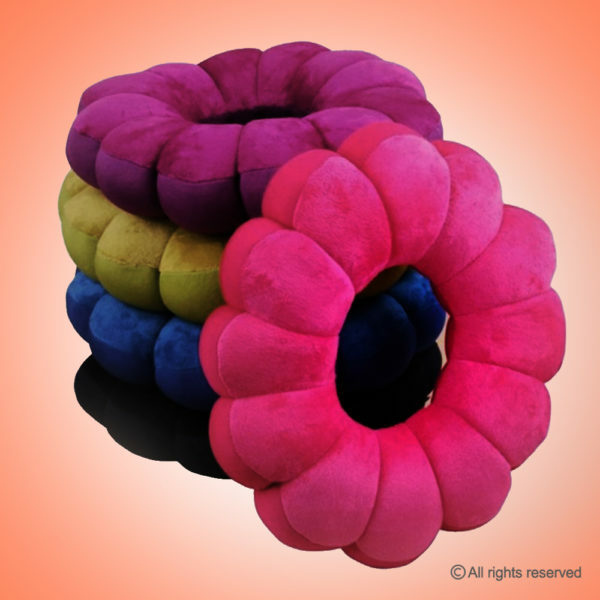 Twist and shape this pillow any way you choose to suit your needs for perfect support – it`s like having five pillows in one! Millions of tension-easing 100% polystyrene micro beads cradle you in comfort, at home or on the go. It`s perfect in size! Just one foot in diameter, it`s designed to travel with you – fits over the handle of suitcases, clips on to backpacks or hook it on to your arm, it`s there whenever it`s needed. 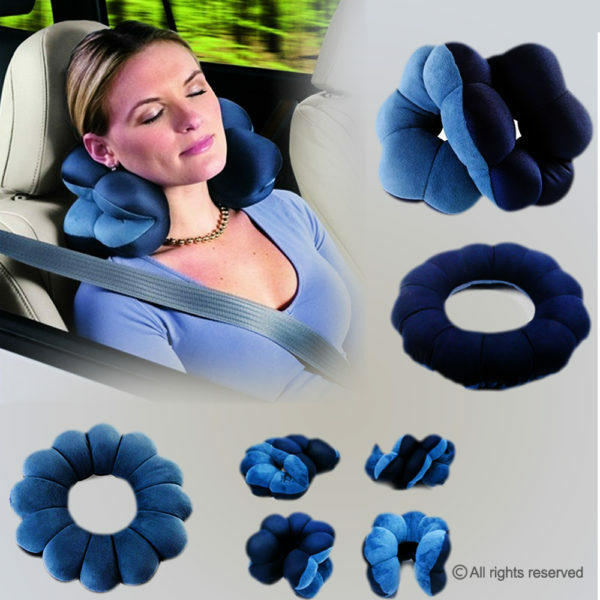 Shape changes in seconds to support your back, head and neck for lumbar support and more! Luxurious brushed fleece and nylon spandex is soft against the skin yet strong enough to provide support.